My old (now VERY old!) boss turned 65 the other day; we shared an office for more years than I care to remember so he’s also one of my best friends. He didn’t really want to be reminded of his age but I couldn’t resist it – after all, he’ll always be 15 years older than me! Of course, men’s cards are always difficult for card makers but the idea for the main image of this one came to me quite quickly. Finishing it took ages though, and I’m still not entirely happy with the end result but, as ever, I ran out of time. The hills & sky were both sponged onto Personal Impressions canvas paper. 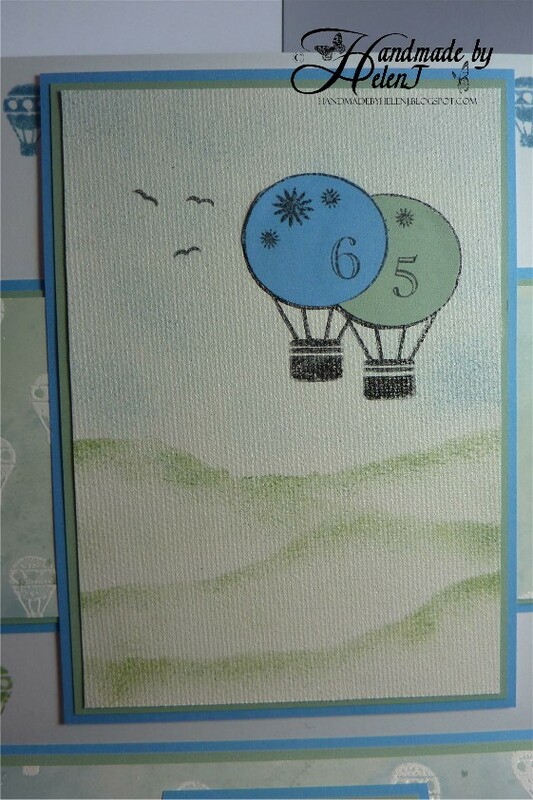 The balloon stamps were free with Craft Stamper magazine & I paper-pieced them then stamped the numbers on. 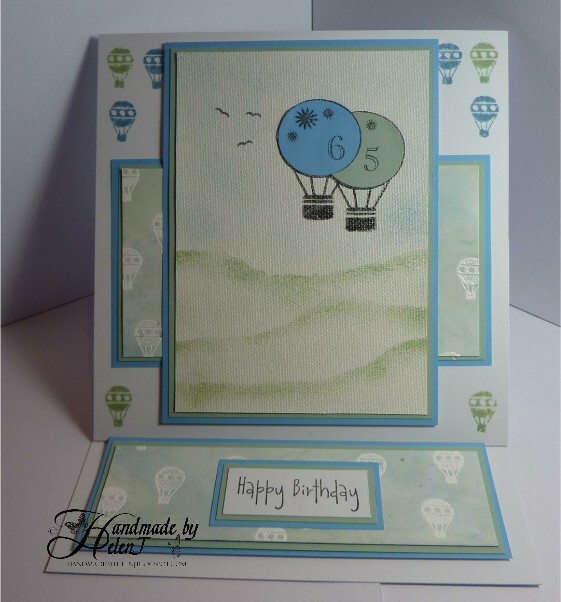 I created the backing paper by embossing the small balloons with white embossing powder then inking over the top. 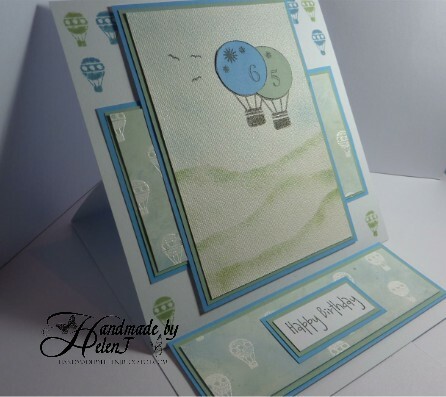 I chose an easel card format but struggled to know how to fill the white space around the main image; I eventually decided to keep it simple by stamping more of the small balloons. I’m not happy about 2 of them being partially covered by the central image but I needed to get the card in the post so had to call it a day. Stamps: Craft Stamper freebie, Inkylicious birds & Elzybells greeting (no longer available). 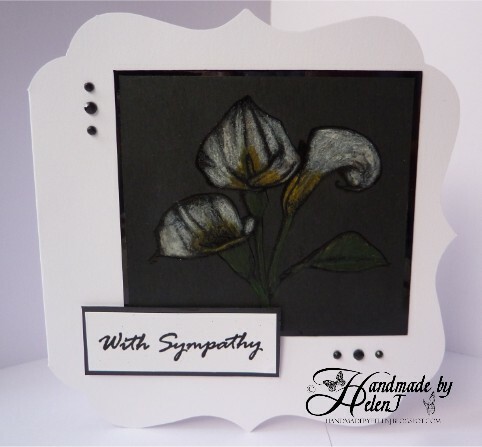 I think it’s safe to say that sympathy cards are the ones most card makers would rather they didn’t have to make, for obvious reasons. This one is for my next door neighbour whose much-loved sister passed away last week. As I’d just seen a Youtube video of the black magic technique* I knew exactly which stamp I wanted to use to try it out. If you look in my gallery you’ll see this is the stamp I use most often for sympathy cards. 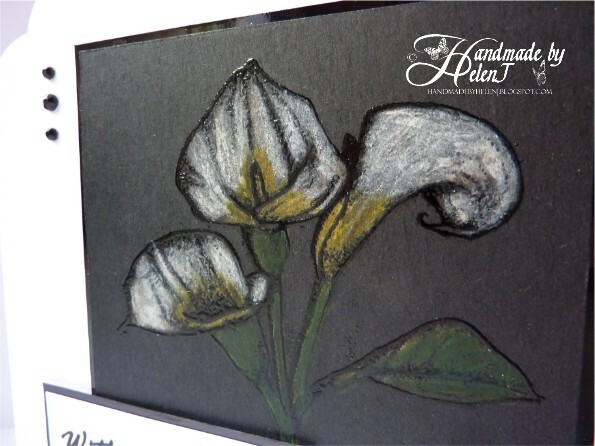 To create the effect, first stamp an image in Versamark on black card, then emboss it with black embossing powder. Next carefully paint inside the embossed lines using bleach until the black is faded – make sure you use a cheap paintbrush as they get ruined by the bleach (I got through 2 of them!) Depending on the card it may take several coats of bleach but let the card dry between coats, or use a heat gun to speed up the process, so you don’t overdo it. This was Papermania Capsule Collection card, and it took 4 coats. Once it was fully dry I used watercolour pencils to colour in the image. Other coloured pencils such as Coloursoft or Polychromos would probably work, too. My first attempt was done on the textured side of the card but the texture still showed & it didn’t look right for this particular image so I tried again on the reverse – smooth – side of the card and it gave a much better finish. 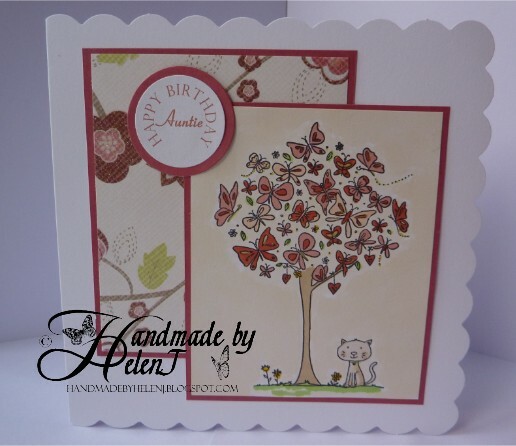 I kept the finished card simple which is how I think it should be for a such an occasion. 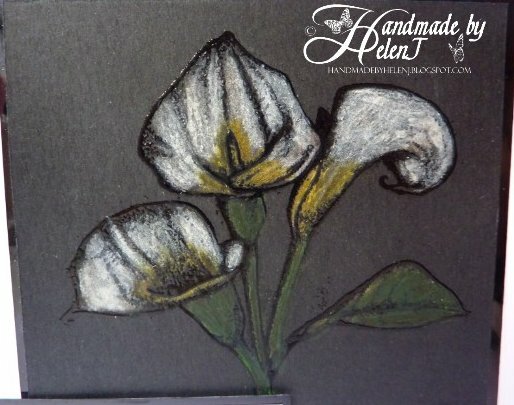 Lily stamp – Craft UK, white card blank Craftwork Card basics, black card Papermania Capsule Collection. * I’ve since seen the black magic technique described as stamping the image with white ink on black card & colouring over the top with different media (pencils, Copics etc). I have no idea which is the correct definition of the technique! At least I think that’s what this technique is called! You simply stamp your image twice & leave one uncoloured. On the second image, colour in the portion of it you want to highlight and then cut that out and superimpose it on the first. In this case I used a Nesties circle die to cut out the highlighted portion. 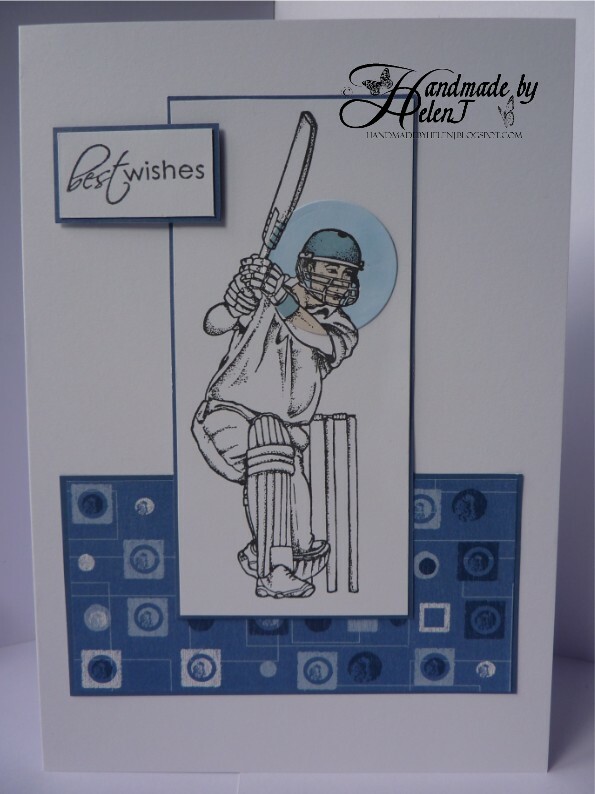 This is how the finished card looked, it was for my cricket-made nephew’s 23rd birthday. 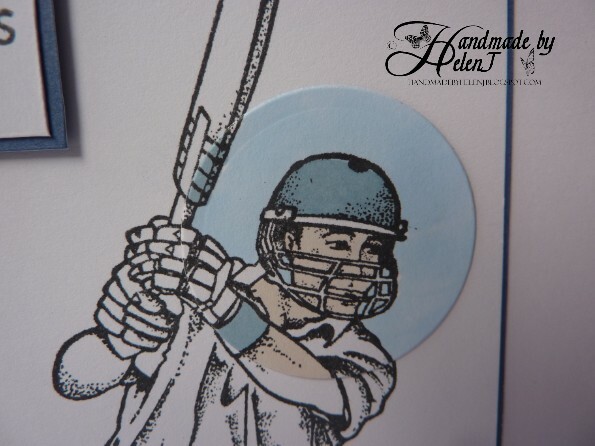 Cricketer stamp by Craft UK, sentiment stamp Penny Black Salutations, backing paper by Deja Views. I picked up the Little Claire Butterfly Tree set of stamps at a craft show at Leigh recently but this is the first time I’ve used them. The colour scheme was decided by the backing paper I decided to use so I coloured the image with Promarkers to match, and although you can’t see it I used Gellyroll Clear Stardust to add a bit of glitter. The backing paper also had a touch of glitter. 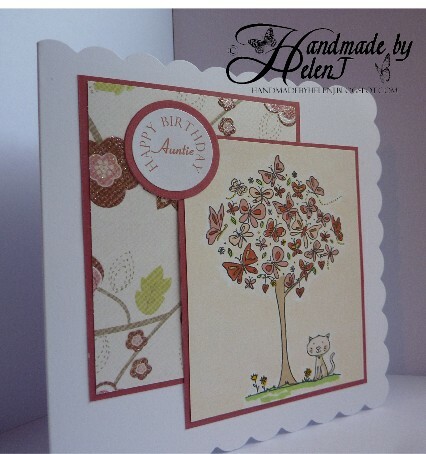 The greeting was created in Craft Artist 2 Professional. 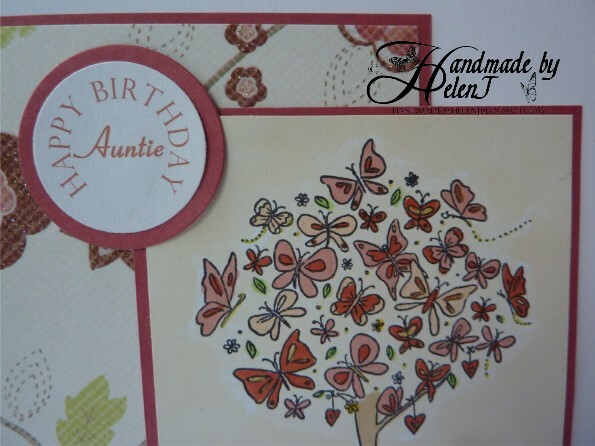 Little Claire Butterfly Tree stamps, backing papers Love Letters by Mindy Terasawa for First Edition Papers.